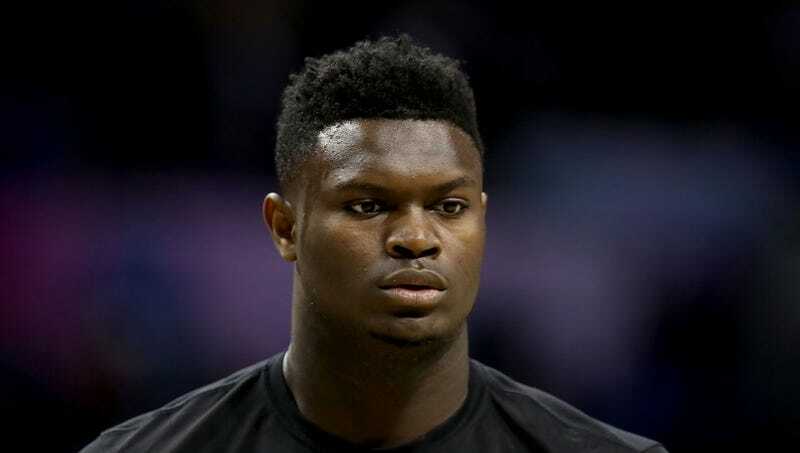 COLUMBIA, SC—Frantically pacing and weighing the fallout of skipping the game, Duke forward Zion Williamson was panicking Friday after realizing his NCAA tournament game against North Dakota State falls on the same night as his theater club’s production of In The Heights. “Oh man, oh man, I can’t believe this is happening. I don’t wanna miss the game, but that club is my passion, and I made a promise to this cast,” said Williamson, revealing that Duke’s “amazing theater club” was perhaps the deciding factor that drove him to enroll at the university. “I know RJ [Barrett] and Tre [Jones] will be upset if I skip out, but that club is like my family—they were the first friends I made on campus. We’ve been rehearsing this for months now; I know all my lines and I just got all my blocking down. And the show will be a total train wreck without me. Cory is my understudy for a reason—there’s absolutely no way he can handle the role of Graffiti Pete.” At press time, Duke coach Mike Krzyzewski was telling Williamson to forget about what everyone else wanted and follow his heart.